My son's birthday is today and I thought we would bring treats to his preschool class. 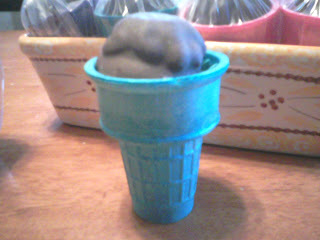 They are studying the letter I so we decided to make little faux ice cream cones. These are fairly sturdy for transporting and lack the frosting mess factor. As a daycare provider and former teacher, I love the fact that little fingers should be clean after nibbling this snack. 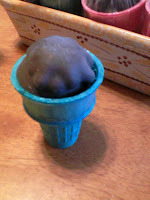 Ice cream cones- we went with the "normal" size to make sure our cookies would fit on the top. Fill your ice cream cones with small candies. 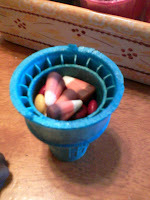 We used candy corn and m&m's, because that is our son's favorites. Get creative! Take a marshmallow cookie and top each cone. This should look like a scoop of ice cream. 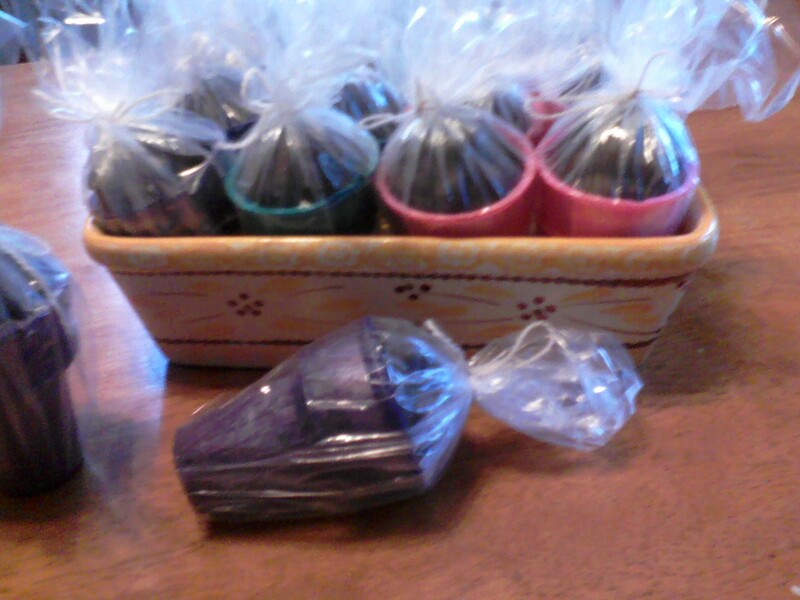 Finally, I bagged each treat and tied them. 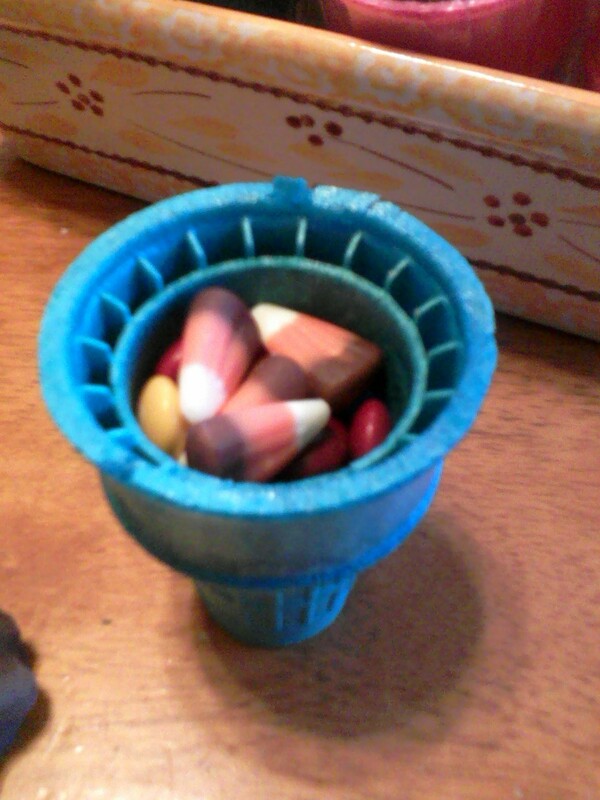 This is optional, but for transporting I thought it would be easier and reduce the risk of spilled candy everywhere. I forgot to mention where I found this great idea. Years ago, my neighbor made these for her son's class. I don't know where she found the idea.